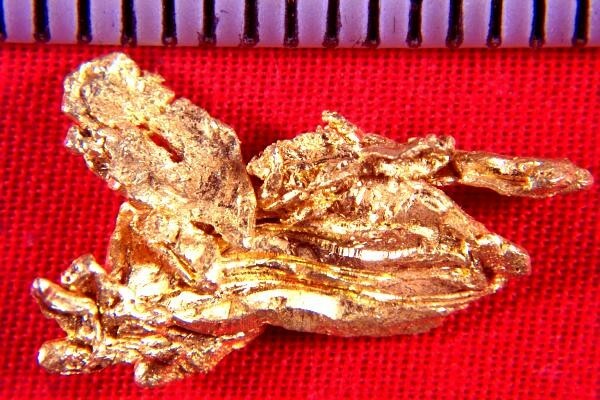 This is a very unique and rare hoppered gold nugget specimen from the Eagles Nest Mine in Placer County, California. It is shaped like a Pelican in flight with it's mouth open, and from both sides. 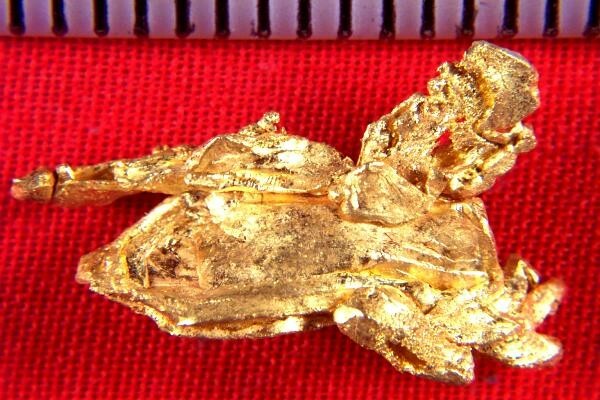 A hoppered gold nugget shaped like a Pelican! What are the chances of that??? Unbelievably rare. The gold is bright and pure. The gold crystals form very interesting dendritic leaf type patterns and they have a hoppered formation. This one is 3/4" long x 1/2" wide and weighs 2.51 Grams (39 Grains). It comes in a plastic gem jar for display. Gold specimens from this location are highly prized by collectors.